Head Chef, Air Bouphasiry, and his team have crafted a menu that perfectly blends together Eastern influences and classical French and Italian cuisine. 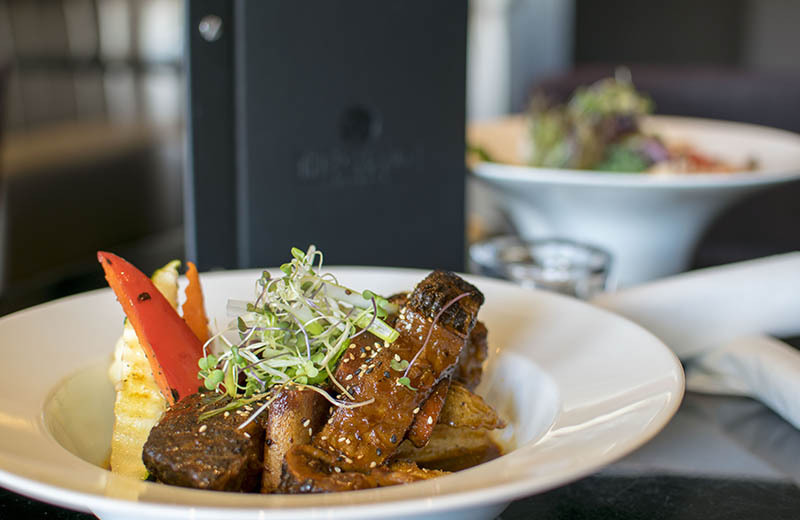 This approachable and global menu features both traditional and unique items for breakfast, lunch, dinner and drinks, ideal for sharing with friends and family beneath the spires of the Canadian Rockies. The best breakfast restaurants in Canmore, all under one roof! Try a wide range of local brunch and breakfast specialties along with coffee, tea, and alcoholic beverages from local providers. This delicious event takes place Sunday, May 5 at The Grande Kitchen + Bar. Early risers can purchase tickets for the 9:30 AM - 11 AM seating and those who like to sleep in can join us for the 11:30 AM - 1 PM seating. Adult tickets for $39 and kids tickets for $15 each, tax not included. For more info and tickets, visit canmoreuncorked.com. Price includes tasting tickets, juice, tea, and coffee, alcoholic beverages are available for sale. Tax not included. Dine-in only. 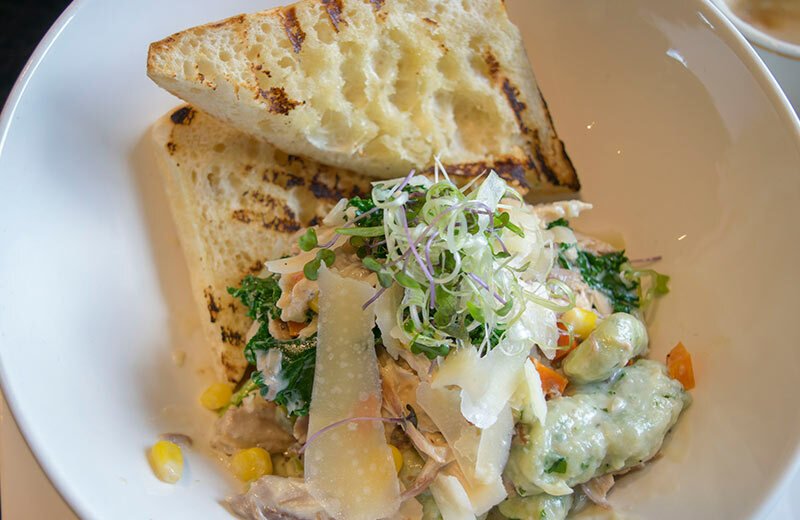 Enjoy two-for-one appetizers and half-price bottles of wine every Wednesday. These deals can be enjoyed separately or together but cannot be combined with any other promotions. Grande gift cards are now available. Ideal for any occasion, these gift cards can be sold in any denomination. Stop in today to pick up your card. The Grande Kitchen + Bar offers catering and venue services for all types of gatherings and occasions. 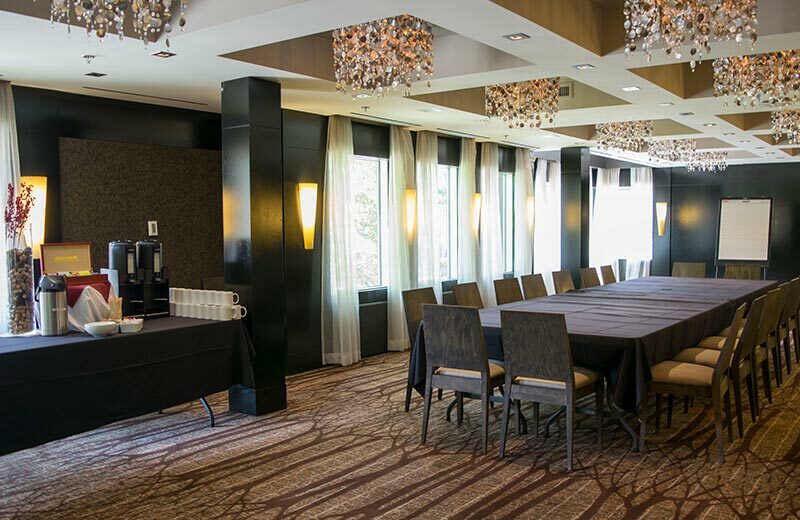 With a catering and bar menu designed to entice guests with inspired, gourmet dishes and access to over 2,600 square feet of conference space, The Grande can provide the perfect setting for your Rocky Mountain event. For catering and group inquiries, please email info@waymarker.ca. 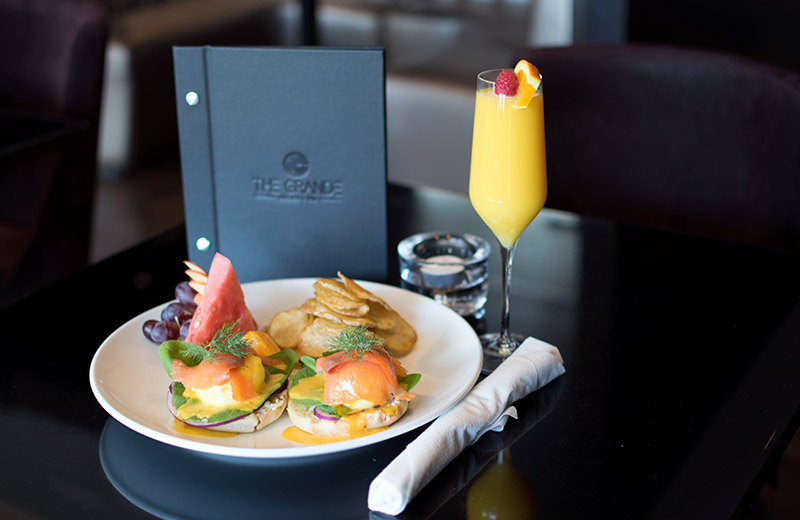 The Grande Kitchen + Bar is located in the Grande Rockies Resort at 901 Mountain Street. Parking is available in front of the Grande Rockies building or on the street. Breakfast is served until 11:30 AM daily.